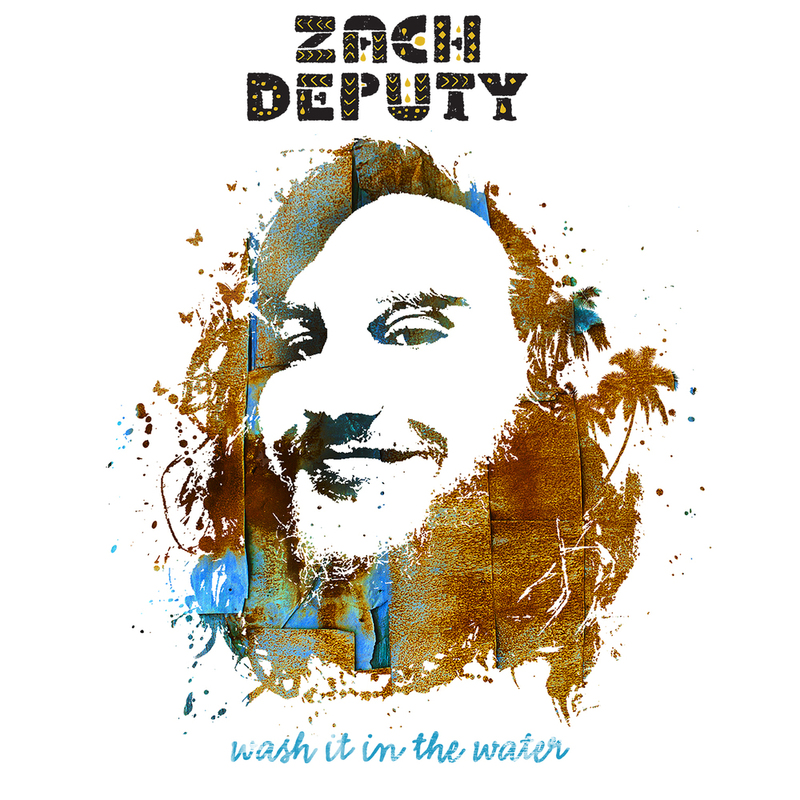 Multi-instrumentalist Zach Deputy has announced the release of his fourth album, Wash It in the Water, on September 9, 2016. A self-described “island-infused, drum ‘n’ bass, gospel-ninja-soul” artist, Deputy played every instrument on the album and self-produced the record in spontaneous sessions that took place in studios, homes and even his own garage. The 11-track album represents a sunny and soulful new sound that cleverly fuses hip-hop, funk, folk and pop with soca and calypso rhythms. The Georgia-based singer-songwriter will tour the east coast extensively this summer and fall in support of the new record. Listen to “Chevrolet”, the first track from the album, thanks to Live for Live Music HERE. With the range of sound and texture on the album, it’s easy to forget Wash It in the Water is a solo effort recorded in spurts and starts. “Each time I recorded it was mostly just for fun,” Deputy says. “I wasn’t trying to make anything happen, I was just going with what felt good.” That warmth and positive spirit shines through. Despite the spur-of-the-moment approach to recording, Wash It in the Water emerges as a gracefully arranged effort that owes much to the musicianship and songcraft that Deputy has developed since he made a name for himself with the 2008 release of his first record, Out of the Water. Thanks to the ingenuity of looping, Deputy puts on an unforgettable live show that has made him a favorite in the jam band scene and festival circuit. He is currently on tour throughout the summer and will continue to play stages across the east coast into the fall. A current list of tour dates are below. Forlorn Strangers Debut Video In Elmore - "Bottom of the Barrel"